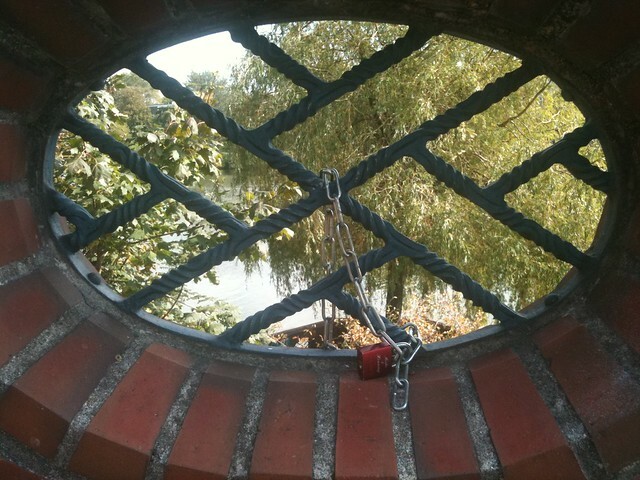 This curious and romantic custom of attaching a chain and lock to a bridge as relationship insurance has made its way to Münster, Germany. The tradition apparently started in Köln, where bridges are full to the brim with public declarations of love. My favourites are the ones with names and dates engraved in sappy "handwritten" fonts. Don't forget to throw the key into the waters below.